Rozacea (cuperosis, rozacea) is a common chronic inflammatory progressive disease which manifests itself externally on the face and causes psychological discomfort and is characterised by exacerbations and remissions. Usually begins at the age of 30 with the person being unaware that it needs to be treated. In its initial stages, pityriasis rosea occurs as flushing of cheeks, nose, chin, or forehead. Sometimes it can also manifest in neck, chest, head, or ear areas. Over time, the flushing increases and becomes chronic, with the face blood vessels becoming more prominent. Without treatment, rozacea progresses and becomes hard to control. The symptoms include pink patches, pimples, blisters, and sometimes uneven, red, rough nose which occurs due to hypertrophy of sebaceous glands and connective tissue. It is very important to detect and start treating pityriasis rosea. Treatment is performed by pharmaceuticals which control the disease and reduce the inflammatory symptoms; however, barely affect flushing or enlarged blood vessels. This is where the new Candela VBeam Perfecta pulsed-dye laser comes in, essentially reducing and getting rid of flushing caused by rozacea. This laser is considered to be the most effective and gold standardfor treating chronic or occasional flushing, enlarged capillaries, and other vascular lesions. Candela VBeam Perfecta targets both visible blood vessels and the smallest enlarged capillaries which cause the flushing sensation characteristic for pityriasis rozacea. It removes a large superficial network of blood vessels associated with the redness, takes off flushing, and reduces the inflammation once certain inflammatory elements specific for pityriasis rosea occur. 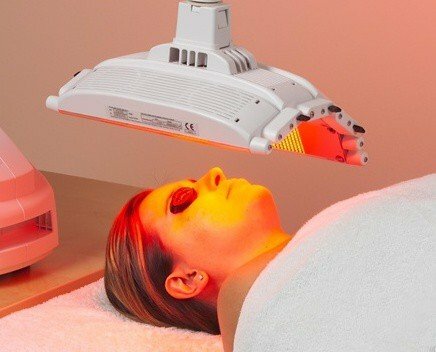 The laser also stimulates collagen synthesis, thus preventing the disease from progressing further, which is very important fo rozacea patients. VBeam Perfecta laser also significantly improves the skin structure and appearance. Procedures performed by the laser are called causal treatment and rightfully so. The number of procedures depends on the severity of the disease: enlarged capillaries and mild redness can be removed after 1-2 procedures, whereas significant relief of flushing or complete removal of rozacea and its remission may take 2-4 procedures to achieve with improvements visible after each procedure. However, these laser procedures can only be performed by certified DOCTORS. Fore more information on removal of enlarged capillaries, flushing by the new VBeam Perfecta laser, read laser capillary removal. Rozacea and accompanying flushing as well as the inflammatory stage of the disease characterised by pustules, patches, or so-called pink pimples can be successfully treated by Omnilux Revive light therapy. Omnilux Revive effectively reduces face flushing and improves the appearance of the skin. Omnilux Revive is also anti-inflammatory and strengthens collagen, the connective tissue, and skin’s immune function, which is vital in dealing with rozacea, as it reduces the likelihood of disease recurrence. How many OMNILUX RED procedures are necessary in the case of rozacea? Treatment includes 10 procedures twice a week. There needs to be a 48 hour gap between the procedures. How is rozacea treatment with Omnilux done? After the initial free-of-charge consultation at our clinic, our dermatologists will make an accurate diagnosis and select the most suitable treatment. Depending on the stage of the disease, the selected treatment method may be a pharmacological treatment or skin-smoothing preparations, or chemical-medical peelings in order to remove pink spots or face roughness. Prior to the procedure your skin will be cleaned and protective glasses will be put on. The procedure will take around 20 minutes. Is the Omnilux treatment for facial redness and rozacea painful? Omnilux Red treatment is completely painless. During the procedure you will feel pleasant warmth. Once the procedure is completed, you can return to your usual activities, since there are no visible skin changes except quickly subsiding flushing. The clinic also uses photodynamic and pharmacological treatment as well as medical dermatology procedures for treating pityriasis rosea inflammations. All laser procedures are done by qualified DOCTORS of Era Esthetic laser dermatology clinic.